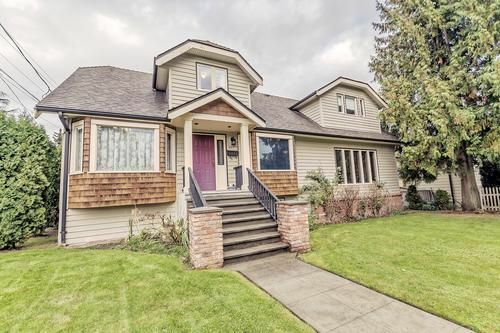 If you are looking for a wonderful family oriented neighbourhood close to awesome schools, parks and recreational facilities, shopping, transit, look no further! This very special high quality 3,017 sq ft - finished floorspace, 3 level home is perfect for the growing family and offers many possiblities including 6 bedrooms, 4 upstairs, 3 bathrooms, gleaming hardwood flooring, potential for lane way home, 66X105 lot with large fenced backyard, double garage, just a great place to call home! You will love the large room sizes, updated kitchen, bathrooms. Lots of attention to detail in all the finishing throughout the home. Be within steps to all amenities including 3 levels of schooling, Herbert Spencer Elementary, Glenbrooke Middle School and NWSS high school, short drive to private schools. Homes like this don't come on the market very often and you will have to act quick! No need for the car as you can walk to everything! Call your Realtor today to book your private showing. Best value per square foot for comparables in Glenbrooke North!